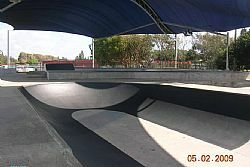 Completely new skatepark since November 2004 built by Concrete Skateparks consisting of a monster main bowl and smaller bowl / half pipe and simple street area. 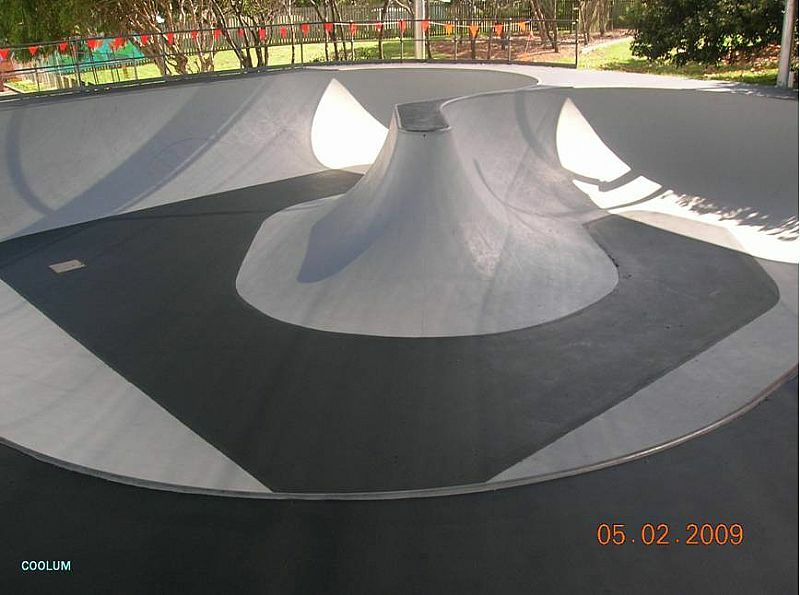 The main bowl has two sections which run round in a loose U shape with spine and transfer in the middle and a vert extension on one of the flat faces which makes for a really challenging roll. 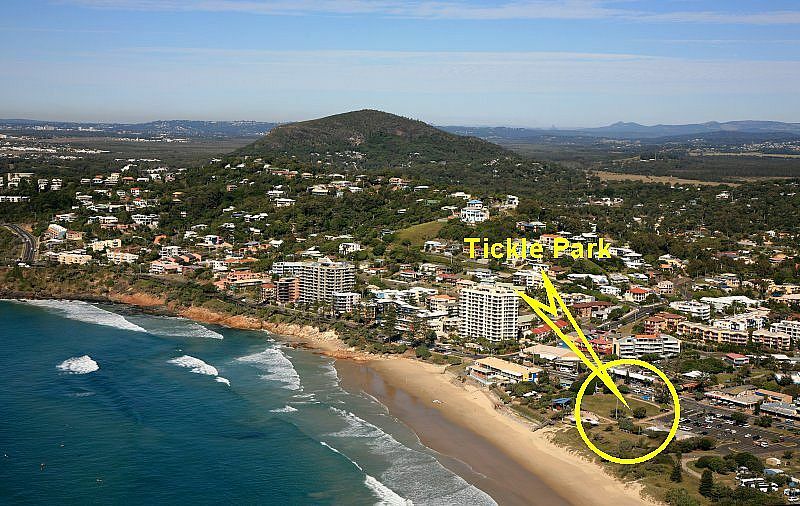 The Coolum facility is located adjacent to Tickle Park and the beach. It is opposite a strip of restaurants and shops. 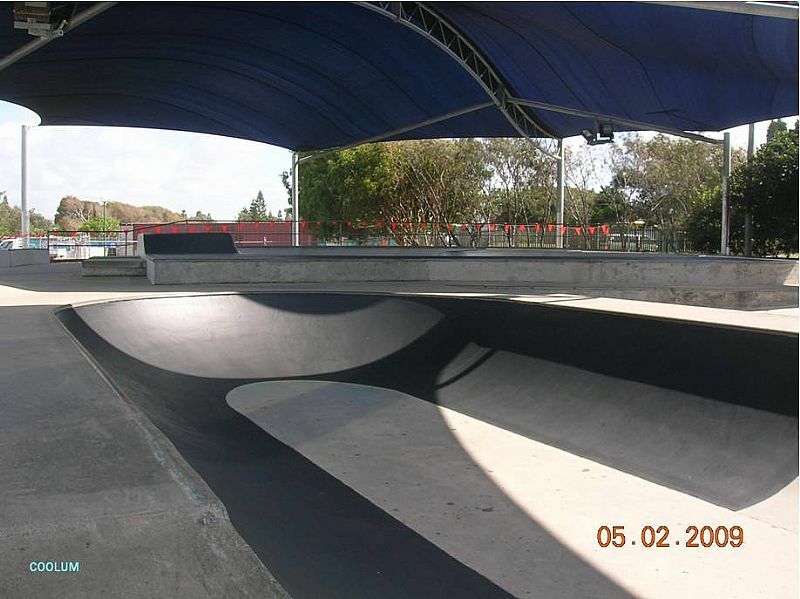 It comprises a continuous bowl junior ½ pipe, grind block, slide rail, vertical wall drops, manual pod and pump feature. 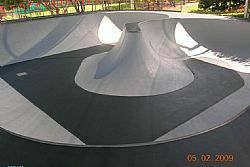 The surfaces are all very well done, coping in that pool / bowl fashion allowing for many a grind to get nicely locked in. 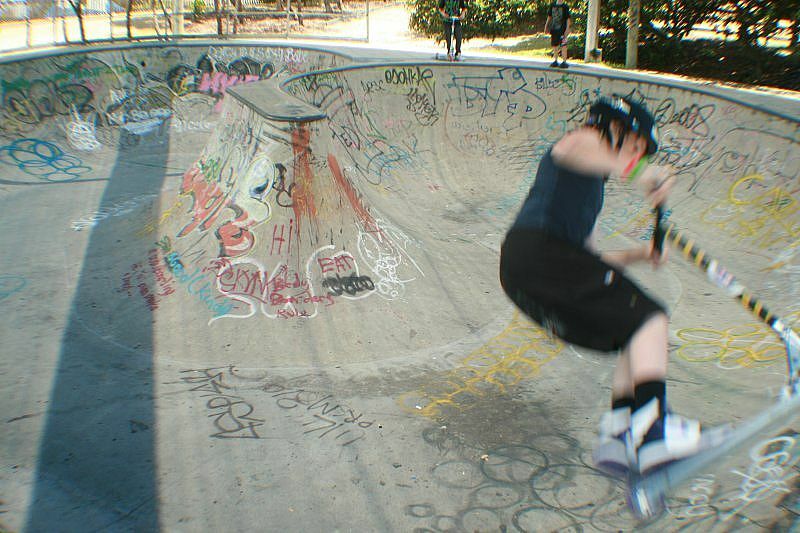 In an exciting first for Coolum, the ASF (Australian Skateboarding Federation), in conjunction with Sunshine Coast Council, is holding the 'King Of Concrete' Qld Championships of Bowl Skating at Tickle Park on September 12. 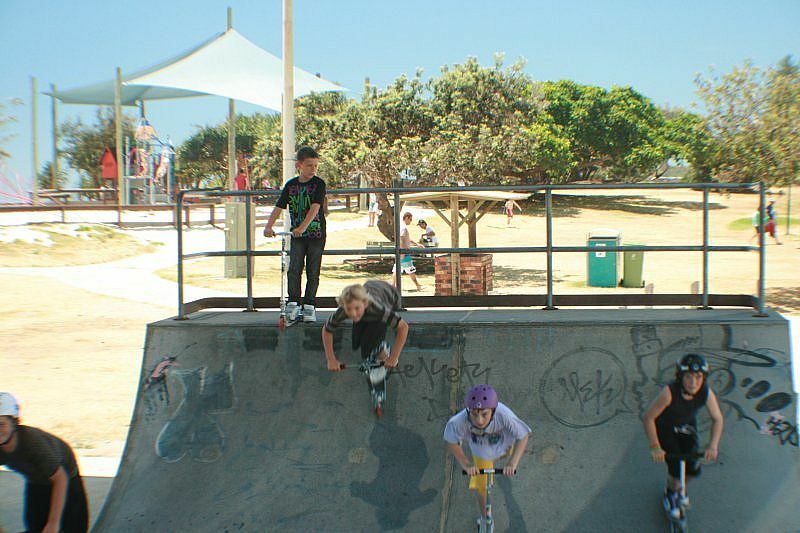 King of Concrete will feature $6000 worth of prizes including $1000 for the girl’s event. Although the event will be held over one day in its' inaugural year, organisers are looking at growing the future championships into an annual event to be held over 2-3 days.This is another excellent opportunity to showcase Coolum and with that in mind, organisers are hoping to engage as many local businesses as possible. What: The King of Concrete Queensland Championships of Bowl Skating Presented by Shredability and Sunshine Coast Council.